With hundreds of colour plates and photographs enhancing the narrative, this unique book is a definitive work on which future generations will build. 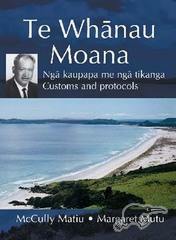 Copies are now available for $60 at Te Runanga-a-Iwi o Ngati Kahu. Call 09 4083013 or email Alice on nkrunanga@xtra.co.nz to order.